Christmas Eve saw Dow's historic low ... but it was immediately followed with a 1086 point rally (its largest single-day gain). The S&P and Dow both rallied approximately 5%. 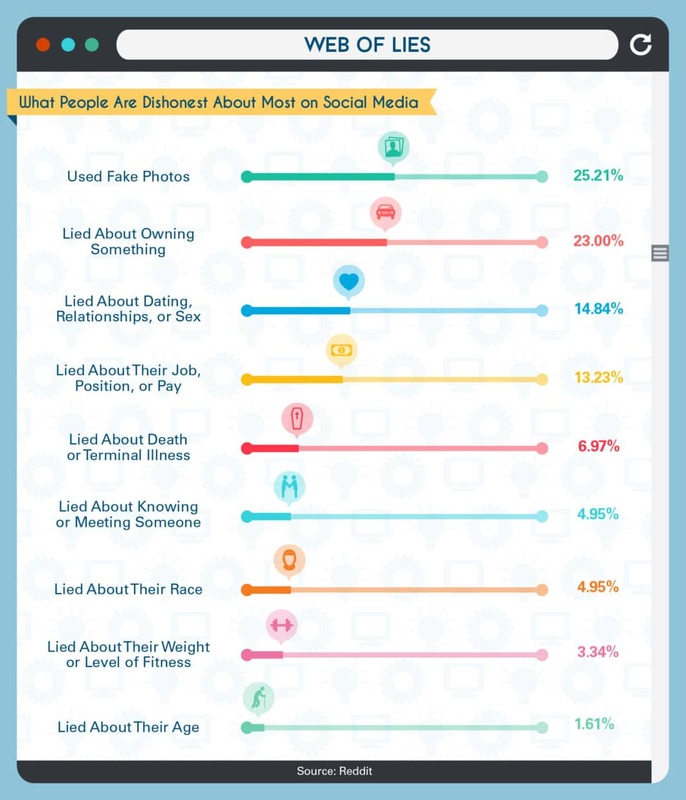 How Many People Lie To You On Social Media? Social Media often becomes a "best-of" reel of our lives ... carefully curated to show off our best selves. Imagine what that leads to for us and our children ... ?? It is tough to live up to your social media standards (let alone to keep up with others'). 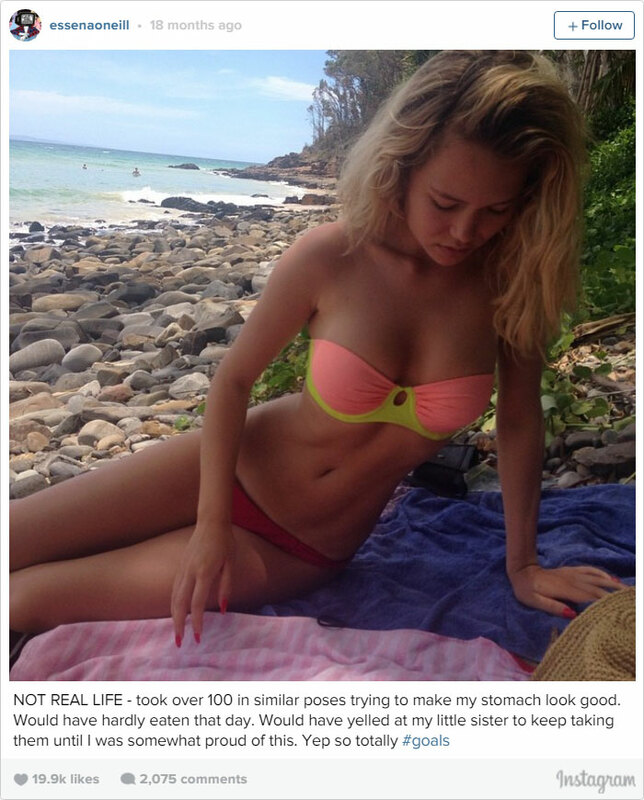 This Instagram model (apparently, that's a thing now) with over half a million followers took to changing her captions to display the falsehoods. How tempting is it to photoshop (or embellish) a little? In a recent survey of 2000 British people, more than 75% admitted to lying about themselves on social profiles. Here is a chart ranking the most common topics people are most dishonest about. Fake photos, fake ownership, and relationship lies top the list. There was something magical about taking a trip back before everything was a camera. This summer, South Carolinians started seeing menacing clowns in the woods. As a response to clown hysteria,Target pulled clown masks from shelves , McDonalds scaled down use of Ronald McDonald, and people everywhere have been in a fervor. Not everyone has been affected negatively though ... Surprisingly (to me), Pornhub has seen a massive increase in clown related searches. There you have it ... hard data. 2016 continues to surprise ... Celebrities dying, phones exploding, the election, and this. It will be interesting to see how 2016 ends, and what the future brings. The world changes, but human nature remains relatively constant. While conspiracy theorists argue whether the NBA rigged the finals to get to get to game 7, I find this more disturbing ... it's a photo combining Hillary and Trump into a Clump. Sometimes the News cycle is worse than the news itself. Who put Washington in charge of the ball drop this New Year? Gangnam Style has about a billion views, recently surpassing Justin Bieber to become the number one most-viewed YouTube video of all time. So, of course, JibJab got in the game. They’ve launched a Gangnam Style video that you can personalize with your face (or a friend’s face). Here's what it looks like. Hope you are having a happy and fun holiday season.